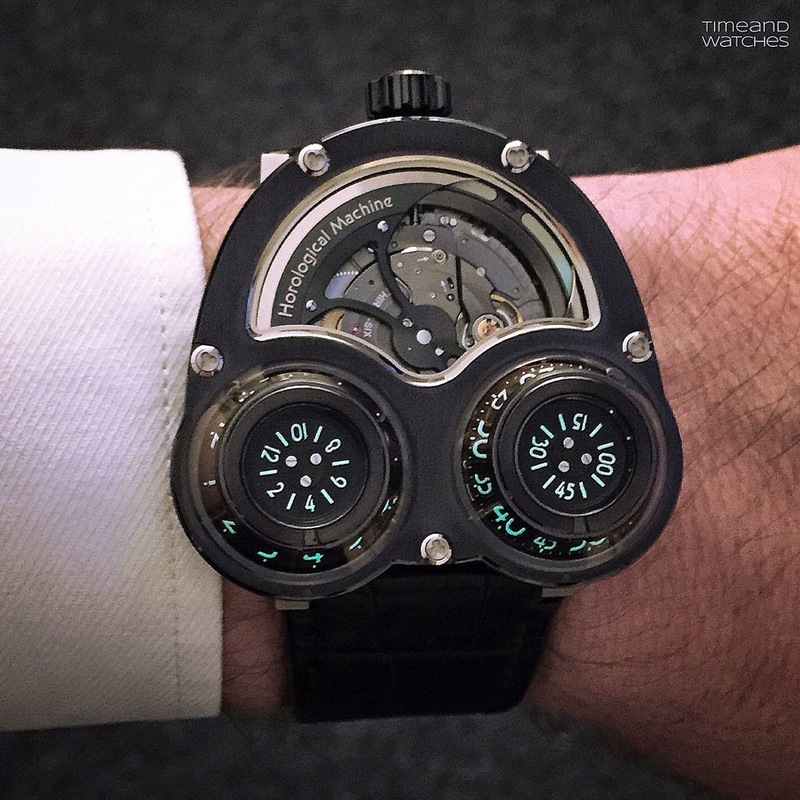 One of our favourite horological machines from MB&F, the HM3 was first presented in 2009 becoming, in its six years of production, MB&F’s most popular model. At least 19 variations were developed thanks to the possibility to play with the case materials, the shapes of the domes and various movement details. 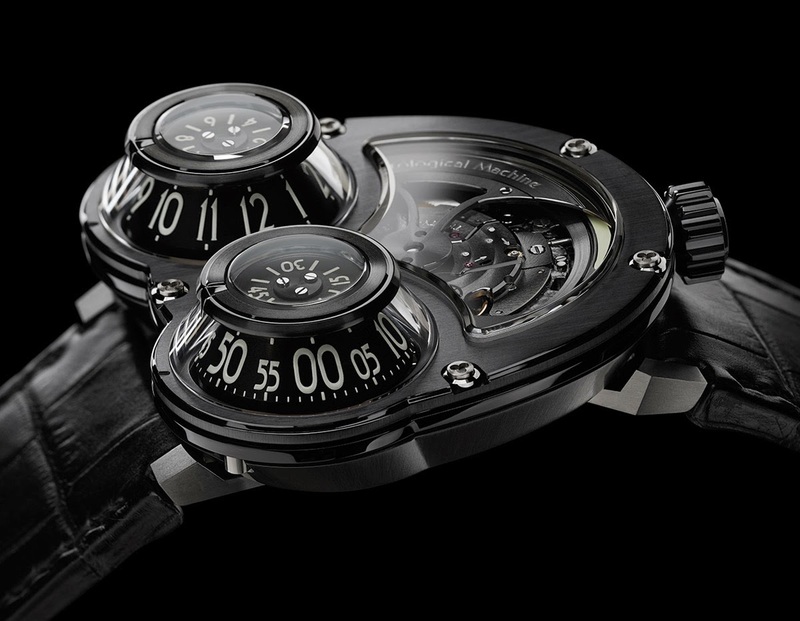 MB&F has now announced the closing model in the HM3 series, the HM3 Megawind Final Edition. 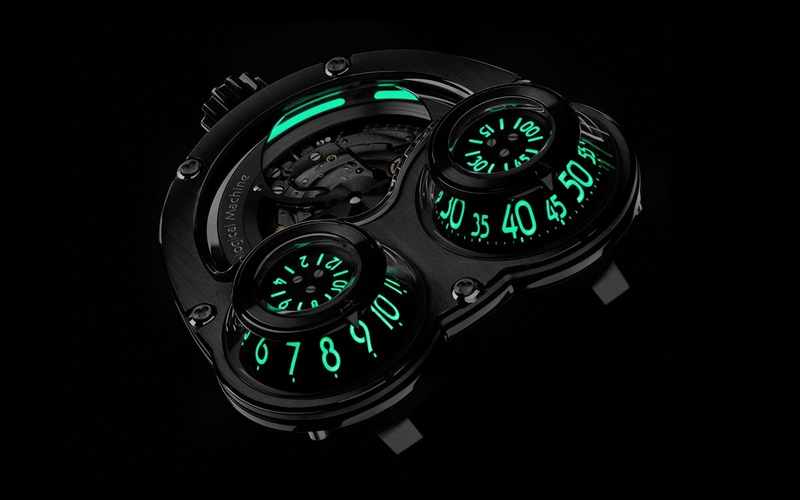 This special edition is characterised by the heavy use of high-performance C3-grade Super-LumiNova, which emits the purest and brightest light, to create an intriguing contrast between the dark tones of the case and the bright green of the time indications. C3-grade Super-LumiNova is not only the brightest but also the purest form of the luminescent material, recognisable by its typical green hue; while Super-LumiNova comes in many colours, the active pigments are always green and other colours partially mask the green glow. The Megawind Final Edition maintains the key elements of the HM3 series: the oversized winding rotor visible on the dial side and the hour and minute domes (milled from solid aluminium to paper-thin thickness) rising up from the asymmetric case. Applying the Super-LumiNova on these conical indications was a challenging task which a skilled artisan performed by hand one numeral after the other using a small syringe to make sure that only the right amount of the luminescent paste is used. 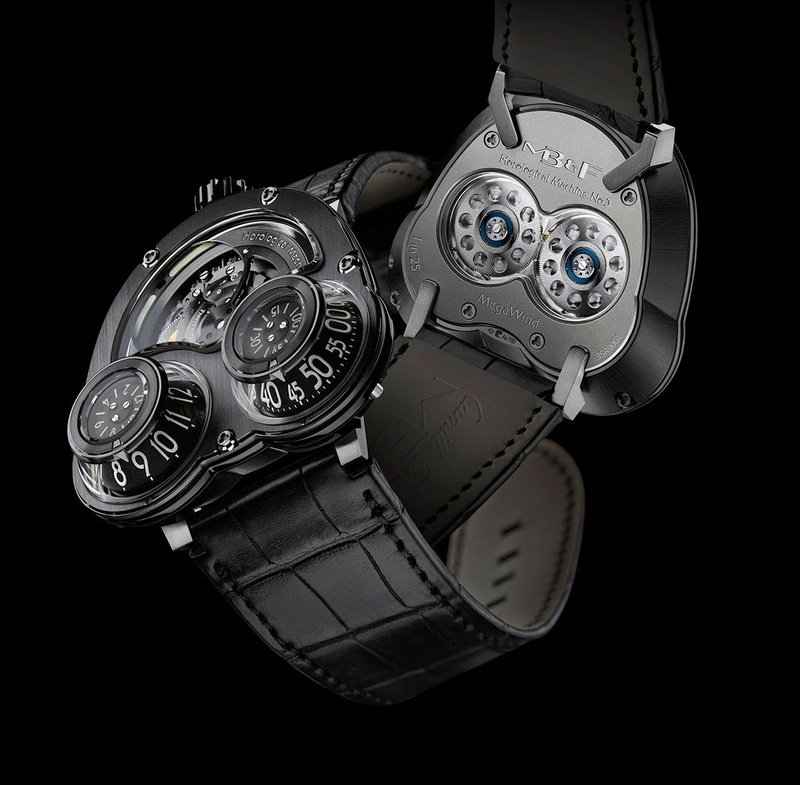 The black PVD-treated white gold and titanium case (47mm x 50mm x 17mm) comprises over 50 separate components with details like the bevelled perimeter of the rotor display crystal, the clover-head gold screws or the integrated lugs attaching the strap to confirm the exceptional quality of the timepiece. Just like in the other HM3 versions, the movement of the Megawind Final Edition has been turned upside down so that bridges, balance wheel, gearing as well as the battle-axe automatic winding rotor are all visible on the dial side. 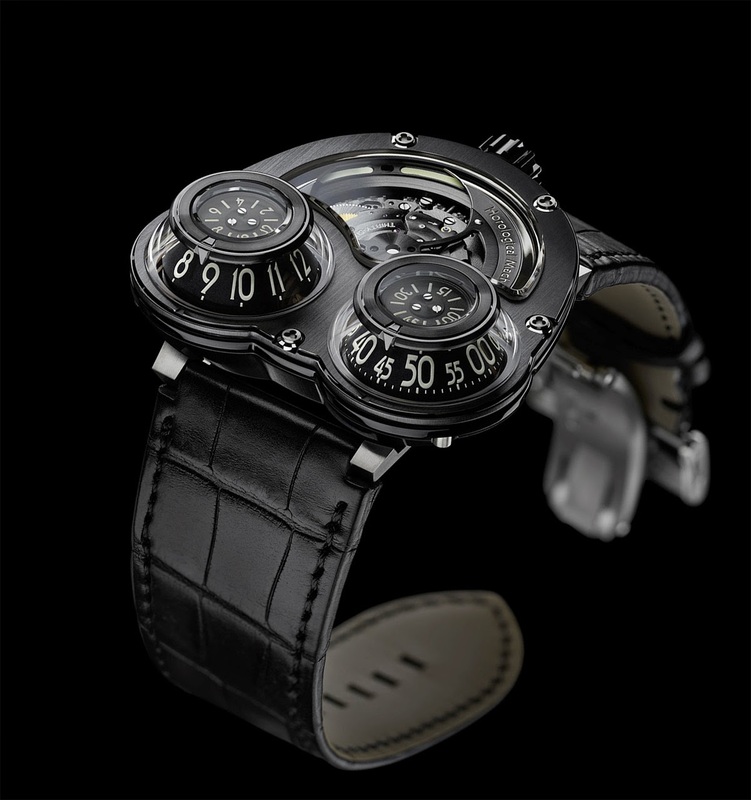 The rotor is made of blackened titanium with 22K gold blades, also blackened. In order to avoid a balance between the two blades, one of them was machined to achieve a razor-thin edge and reduce its mass. A thick line of Super-LumiNova is alternately revealed and covered by the turning rotor to create a fascinating glow effect. This three-dimensional horological engine, beating at 28,800 vibrations per hour, comprises more than 300 meticulously finished, high-precision components. 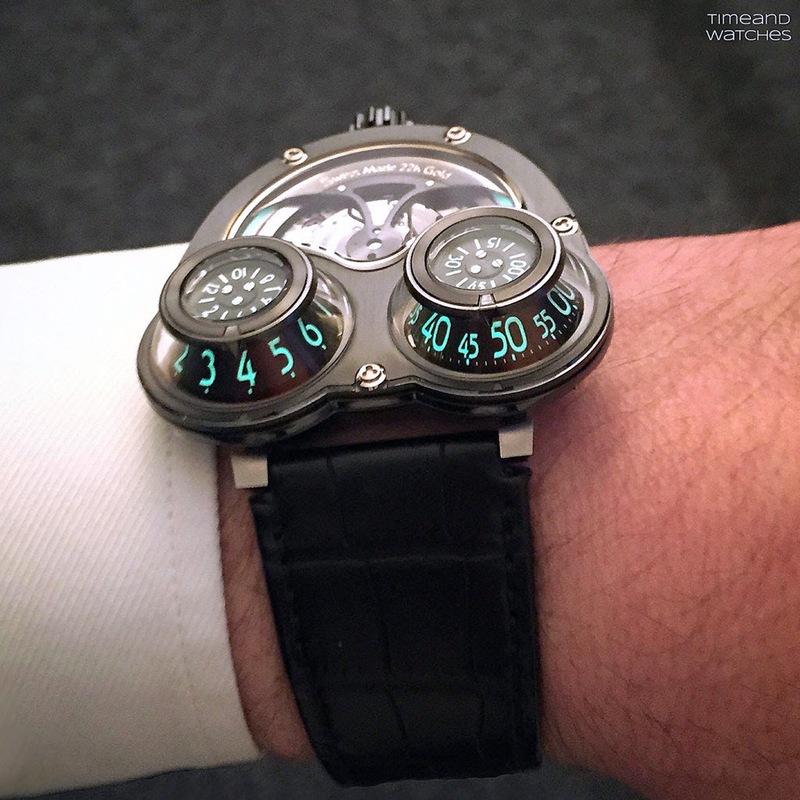 MB&F - HM3 Megawind Final Edition; MB&F announced the closing model in the HM3 series, the HM3 Megawind Final Edition. This special edition is characterised by the heavy use of high-performance C3-grade Super-LumiNova. 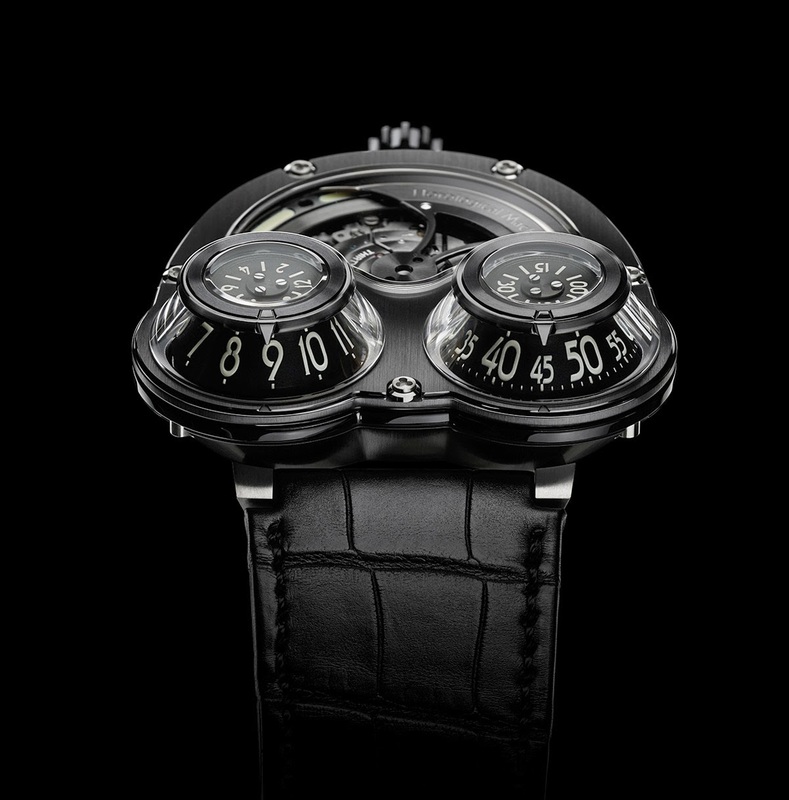 The MB&F HM3 Megawind Final Edition is a limited edition of 25 pieces with a price of Euro 84,000 / Swiss Francs 90,800.